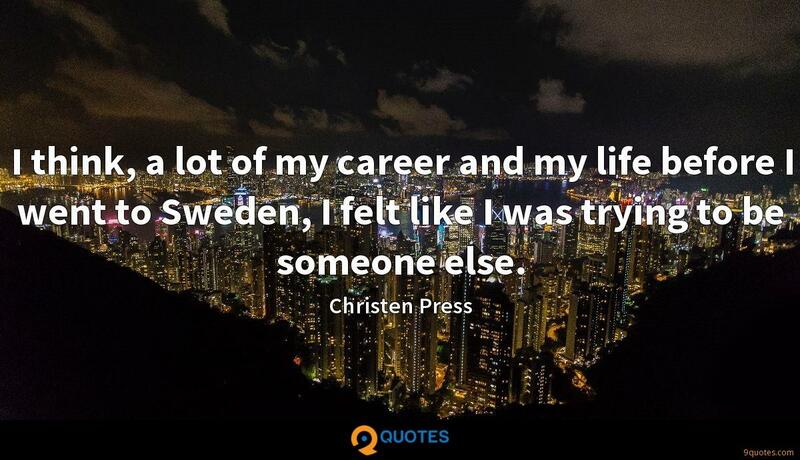 I think, a lot of my career and my life before I went to Sweden, I felt like I was trying to be someone else. 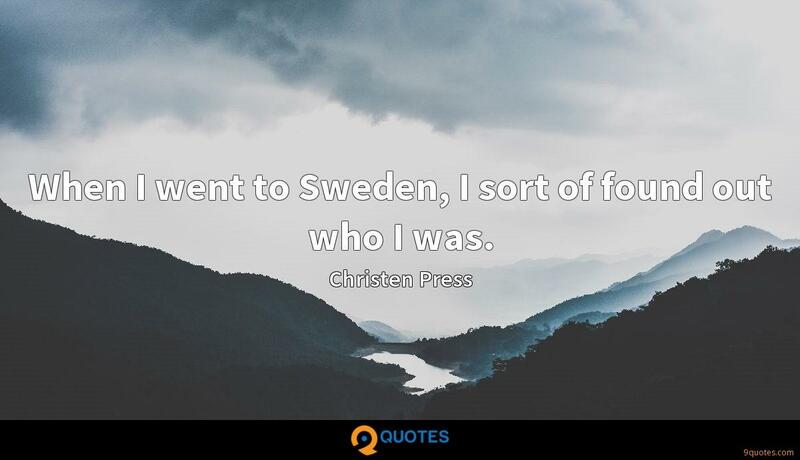 When I went to Sweden, I sort of found out who I was. 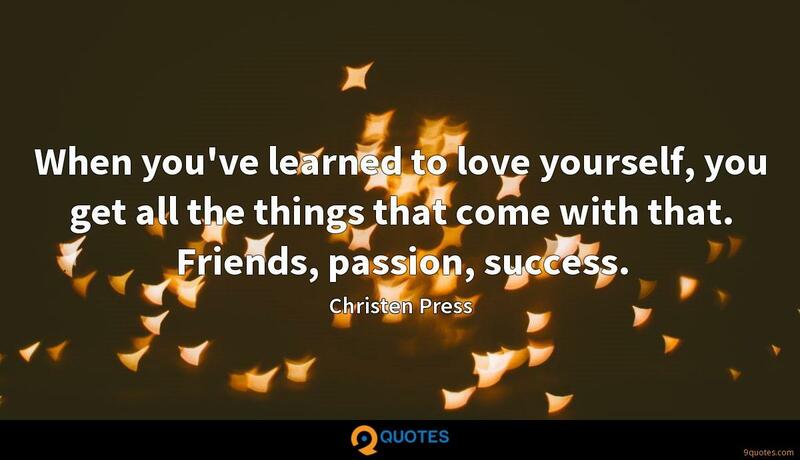 When you've learned to love yourself, you get all the things that come with that. Friends, passion, success. 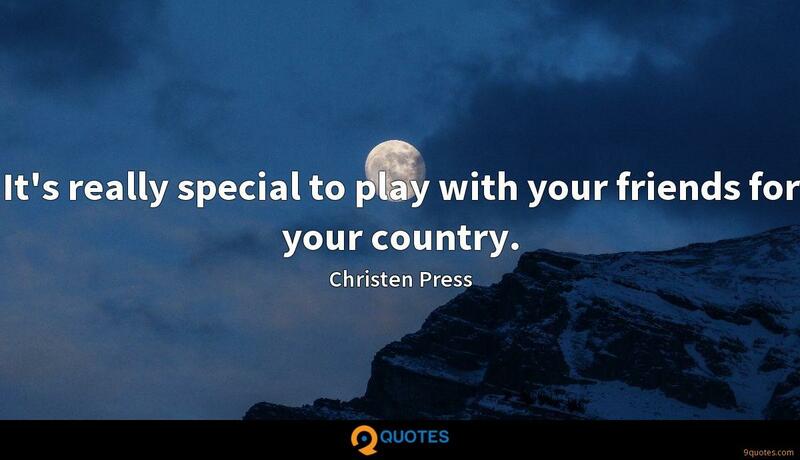 It's really special to play with your friends for your country. 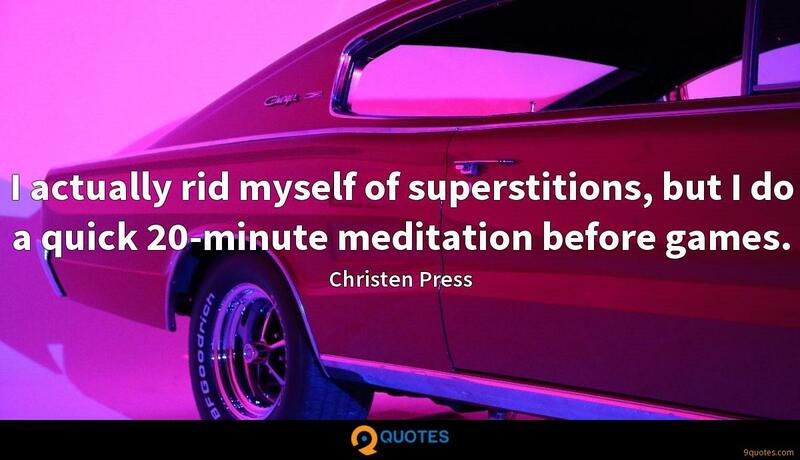 I actually rid myself of superstitions, but I do a quick 20-minute meditation before games. 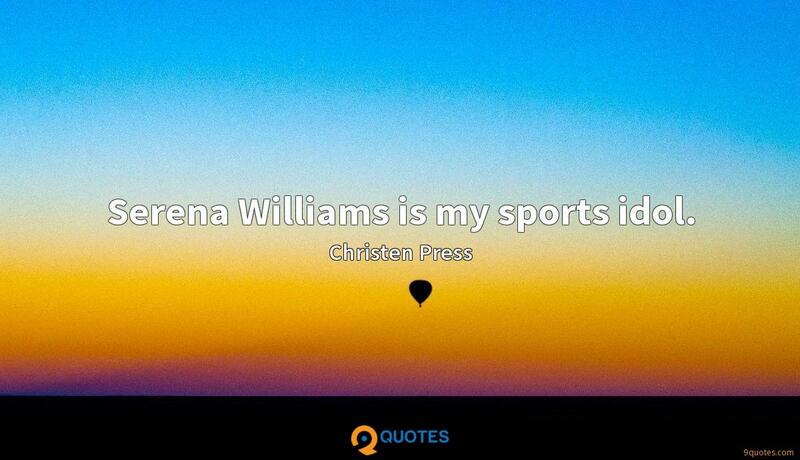 Serena Williams is my sports idol. No hidden talents, but I have a lot of hobbies. Acrylic painting - I got a whole set, and I light candles at night and sit there and paint and look out on Lake Michigan. 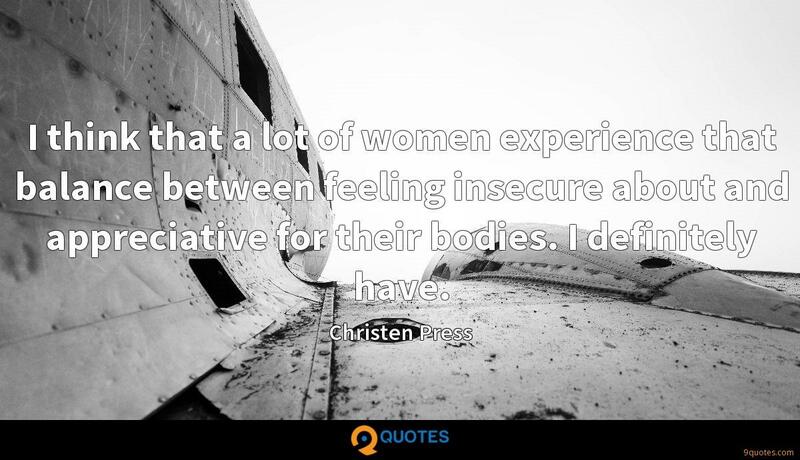 I think that a lot of women experience that balance between feeling insecure about and appreciative for their bodies. I definitely have. Staying grounded, eating healthy, doing yoga, staying out of the sun to protect my skin - I think that the daily decisions we make to protect our bodies are the best ways we can care for them. My mom is just authentically herself all the time. She loves herself. She loves her sense of humor. She brings people in when she talks. She brings people in when she laughs. Watching her, I think that that's when I first learned and was encouraged to be myself and to sort of love and live in that way. I try to practice mindfulness at all times, including the times where I'm nervous and I'm stressed. I've spent a lot of time being insecure about my body, but it's done so much for me. 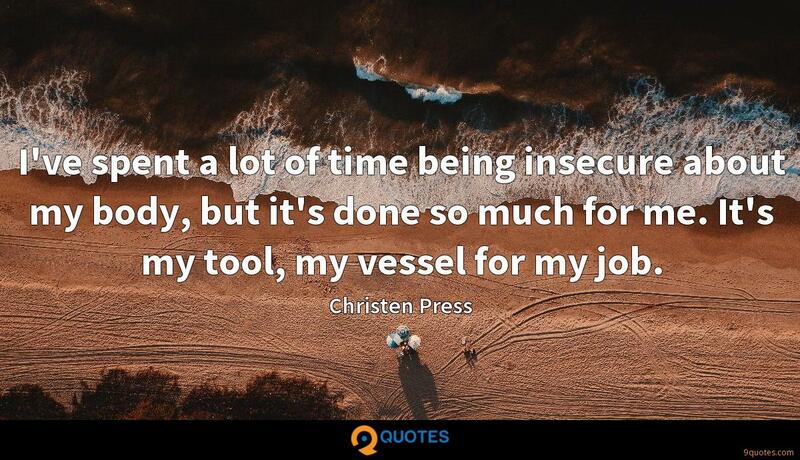 It's my tool, my vessel for my job. 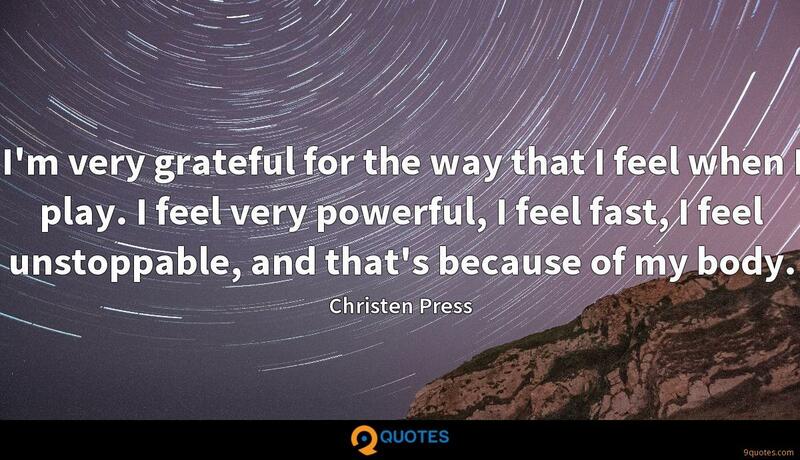 I'm very grateful for the way that I feel when I play. I feel very powerful, I feel fast, I feel unstoppable, and that's because of my body. I'm so excited to be a Coppertone brand ambassador because as an athlete, taking care of my body is a huge part of my job, and sunscreen is a vital part of that. 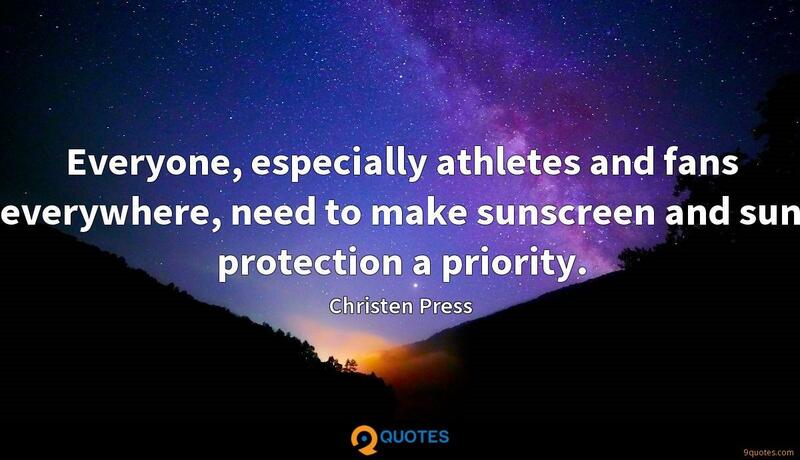 Everyone, especially athletes and fans everywhere, need to make sunscreen and sun protection a priority. Whether I'm running up and down the field or running errands, I make it a point to ensure that my skin is protected. The American professional schedule gives players a six-month off-season, so many of us have become pickup regulars while training without an organized team. 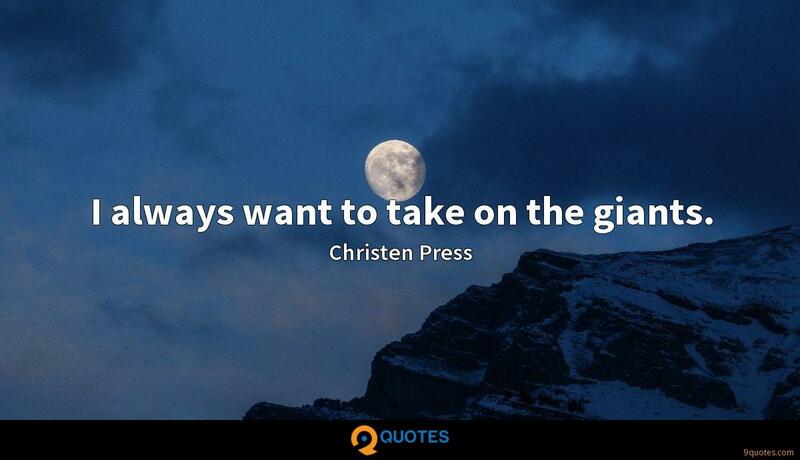 I always want to take on the giants. 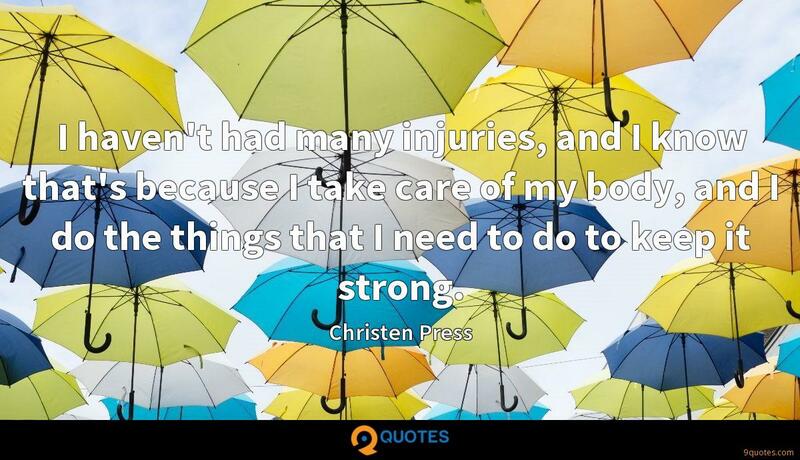 I haven't had many injuries, and I know that's because I take care of my body, and I do the things that I need to do to keep it strong. I find the ball, and I think, 'Where's the ball going, and where do I need to go?' 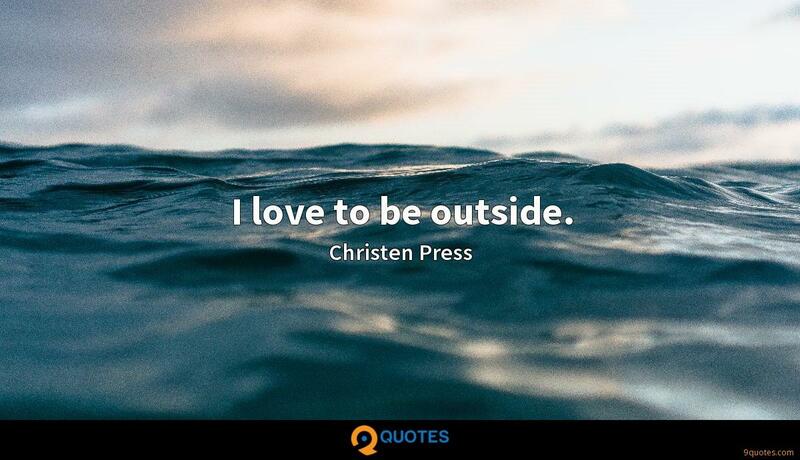 It just puts me back in the game, and it's the simplest thing, but it's become sort of like my soccer mantra. I simply use the ball as my focus point and move back into position, and the distracting thoughts disappear, and I'm right back in the game. Wherever I am, I always do yoga every day. I think it's so important for my physical health in sport. 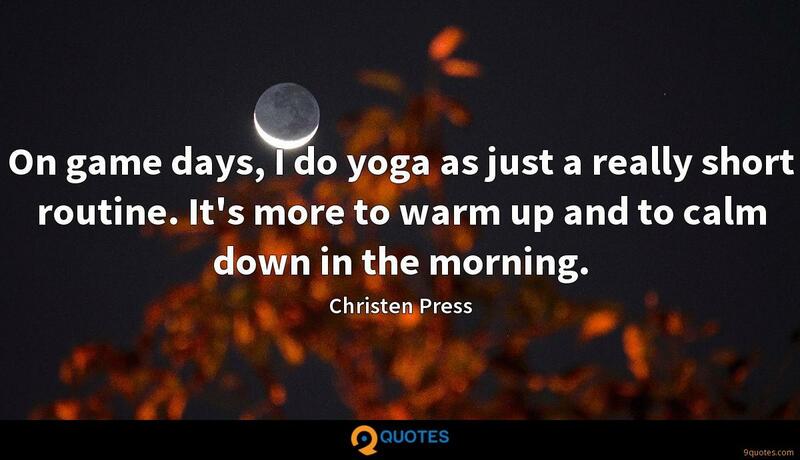 With yoga, it works every part of the body and increases range of motion. 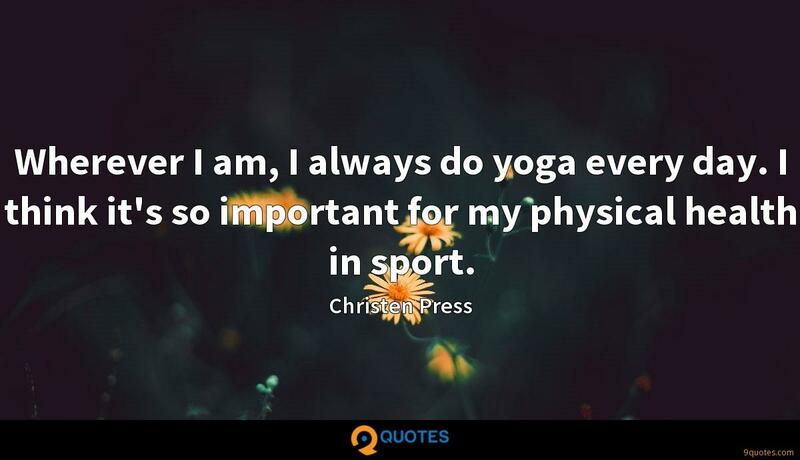 People think you get super flexible and you lose your power in sport. I'm getting back to normal because I'm so wound up and tight. On game days, I do yoga as just a really short routine. It's more to warm up and to calm down in the morning. At the end of the day in our sport, you just have to sacrifice yourself completely to put the team first. That's not easy for us because we're so competitive, but that's the most important thing when it comes to World Championships. My family is a little ridiculous. 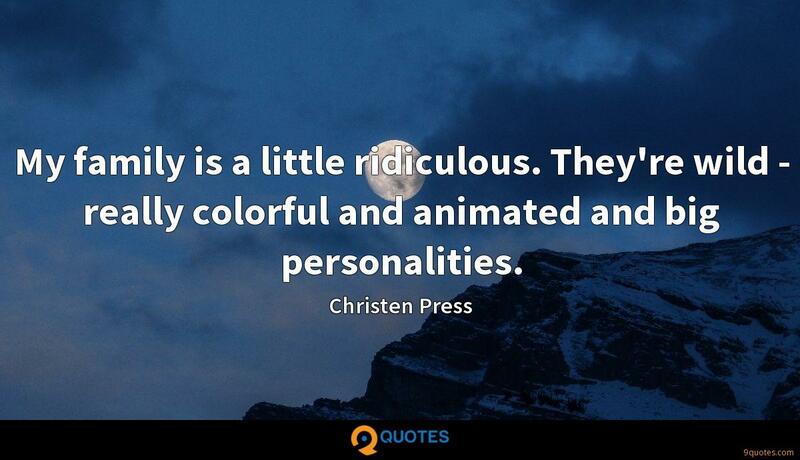 They're wild - really colorful and animated and big personalities. 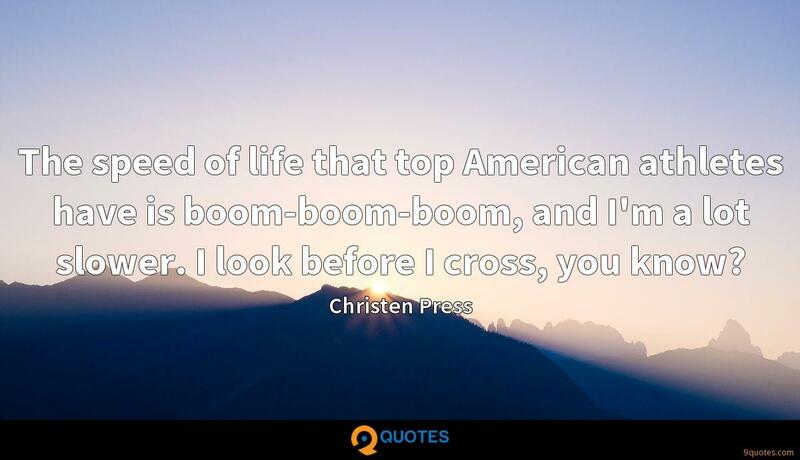 The speed of life that top American athletes have is boom-boom-boom, and I'm a lot slower. I look before I cross, you know? Before I found my peace, I was way too much in my head. I found myself on the field in my own thoughts. I've learned that there's a time and a place for my thoughts. The most important thing when I'm on the field is to just be in the moment and let it all go.